With freezing temperatures creeping over eastern Ukraine, thousands of people in Donetsk find themselves struggling to survive what is expected to be a harsh winter in a time of war. Surrounded by government forces, the rebel-held city has become one of the focal points of the battle between Kiev and pro-Russia separatists in the east. Fierce fighting over strategic targets under control of the self-proclaimed Donetsk People's Republic (DNR) has left behind largely deserted streets. In Kievskiy, Petrovskiy, and Yasinovataya - three of the most affected districts in the city - the majority of the residents are long gone. Those left behind are increasingly facing an intensifying humanitarian crisis without food, water, and safe housing. From decaying bomb shelters built during World War II, to dark-and-damp basements in hospitals, schools and factories, these are places that have, in the past four months, become home to hundreds of people. A majority here depend on humanitarian aid to survive - help that far too often arrives sporadically at shelters. 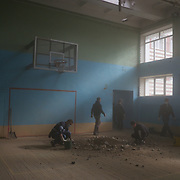 In an improvised shelter in the basement of a badly damaged hospital in Kievskiy, about 30 people inside say they've been without electricity for at least one month. Many of the suffering are elderly with their limited pension payments halted by the government in Kiev. They say they hope the war ends soon so they can attempt to restart their lives. 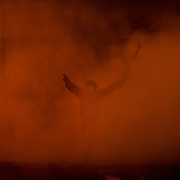 On the night of 21 November 2013, a wave of demonstrations and civil unrest began in Ukraine when spontaneous protests erupted in the capital of Kiev as a response to the government’s suspension of the preparations for signing an association and free trade agreement with the European Union. 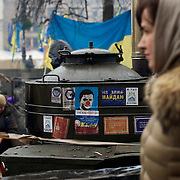 Anti-government protesters occupied the Independence Square, also known as Maidan, demanding the resignation of President Viktor Yanukovych and accusing him of refusing the planned trade and political pact with the EU in favor of closer ties with Russia. After a days of demonstrations, an increasing number of people joined the protests. As a responses to a police crackdown on November 30, half a million people took the square and many remained. Three months passed and the protests are ongoing despite a heavy police presence in the city, regular sub-zero temperatures and ocasional snow falls. 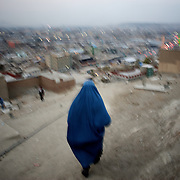 Images of the daily life in Afghanistan's capital city, Kabul. 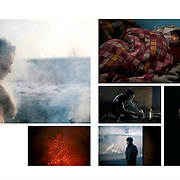 Daily life images of a nation in transition from a military dictatorship to a civil democracy. 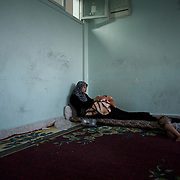 As the war in Syria develops, tens of thousands flee the war torn cities around the country. 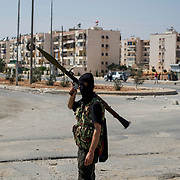 In Aleppo, the countries commercial capital and second biggest city, increasing numbers of civilians flee amid a lull in fighting between rebels and government forces. Many adventure to cross the border to neighbouring Turkey but some opt to stay in nearby villages in the hope to go back to their homes as soon the bloody civil war ends. In Azaz, a border village north of Aleppo, the population uses the local school as a shelter for the many families on their way out of the country. Although here some help is provided, the horrors of war still well present, as the school turns into a target for the aerial bombardments by the regime forces. As Syria's war rages on, kurdish Groups in a remote region near Turkey and Iraq have taken control. 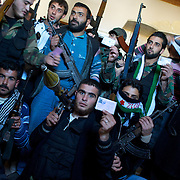 Militarily supported by the Kurdish Workers' Party (PKK), the Syrian Kurds make up nine percent of the country's population or 2 million people. The government considers the northeast of the country where many Kurds live strategically important, because it contains a large percentage of the country's oil supplies. Syrian Kurds' aspirations for self-rule have potentially seismic consequences for Syria's neighbours, which have long suppressed nationalist sentiments among their own sizeable Kurdish populations. More than 30 million Kurds live across an area that includes parts of Turkey, Iraq and Iran as well as Syria. 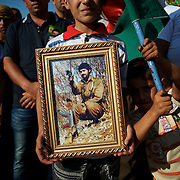 Kurds speak multiple dialects and are represented by a plethora of often opposing political parties and organisations. Yet they have also managed to maintain a separate identity, if partly due to the lines Arabs, Turks and Iranians have drawn to separate themselves from Kurdish communities. Founded in 1978 by Abdullah Öcalan, the PKK's ideology was originally a fusion of revolutionary socialism and Kurdish nationalism - although since his imprisonment, Öcalan has abandoned orthodox Marxism. The PKK is listed as a terrorist organisation by Turkey, the United States, the European Union and NATO. Daily Life in Zaatari refugee camp, in northern Jordan, home to more than 150 thousand Syrian refugees. 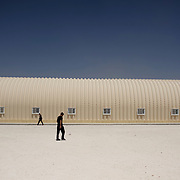 Zaatari was first opened on July 28, 2012 to host Syrians fleeing the violence in the ongoing Syrian civil war that erupted in 2011. Images of Syrian refugees, from the town of Tal Khalak near Homs, at a temporary refugee center in the border town of Wadi Khaled in northern Lebanon. 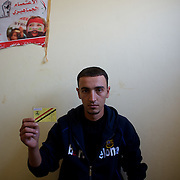 The majority fled the country in fear of persecution over their participation in demonstrations against the Bashir Assad's regime. Some tell disturbing episodes of physical and metal torture while in custody of the Mukhabarat (Syrian secret police) at the military prison of Homs. Among the four thousand refugees in Wadi Khaled area, some are soldiers that choose to desert the Syrian National Army because they were allegedly being forced to shoot civilians, against their will at gun point. As soon as the Moroccan occupation of the Western Sahara started and a vicious and bloody war diffused, more than 150,000 Sahrawis made their way across the desert, under aerial bombardment, to refugee camps in Algeria. Five camps were created under the control of the Polisario Front - the Sahrawis' national liberation movement, which had been created two years earlier to overthrow Spanish colonial rule. Algeria effectively ceded control of the region to Polisario allowing it to be run as a semi-autonomous province near the military town of Tindouf. More than 35 years passed and the Sahrawi still living in the refugee camps with no real perspectives to return to their home any time soon, mostly due to the passivity of the international community. Built on parched sandy land, the settlements have mushroomed into virtual cities with a population of some 160,000. They lack running water and draw electricity from solar-powered batteries, but are models of organization, divided into districts with town halls. Depending uniquely on International aid (rarely enough to guarantee the basic human condition), the isolation and lack of property created a strong sense of union and community where all are seen as part of a big family - the Sahrawi family. It create a democratic state where there are no salaries, each refugee has a vote and women are equal to men. A state born out of hope in a no man's land. Despite the lack of most basic things, the refugees seam to share all they have amongst others, including with the occasional foreign visitors who find in the hospitable family homes the only place to stay during their visit. Stories of war, exile and fear can be heard from most of the refugees one comes across in the camps, however the feeling of hope and prosperity seams to be unanimous amongst all. The certain of one day go back to their homeland and to traditional nomadic life is what most characterise the Saharawi people. The people long time forgotten by the western world. 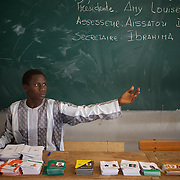 A presidential election took place in Senegal on 26 February 2012, amidst controversy over the constitutional validity of a third term for incumbent president Abdoulaye Wade. President Wade indicated that he would stand for his third term, set at seven years by the constitution. While the 2001 constitution limits a President to two terms, Wade argued that his 2000 election to his first seven year term falls under the previous constitution, which did not provide for term limits. In the weeks previous to the election day, thousands marched the streets of the capital Dakar in protest against Wade's decision. Several people died in clashes against the police. In the runoff on 25 March, the most popular opposition leader, Macky Sall defeated the incumbent. 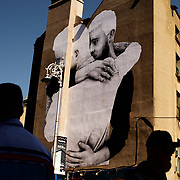 Images taken on assignment for The New York Times.